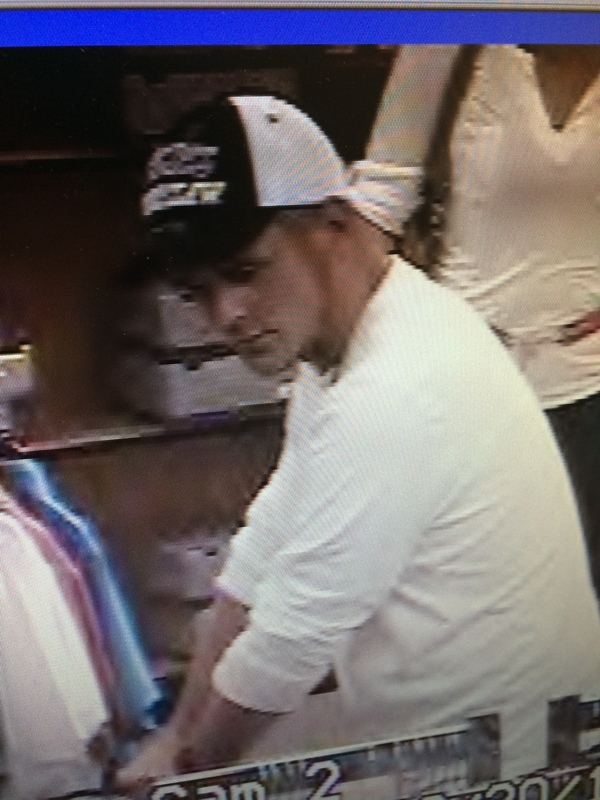 On June 30, at approximately 2:15 p.m., officers responded to Kohl’s, 841 Town Center Drive, for a report of a shoplifting suspect who had run from the store’s loss prevention staff. When officers arrived, Kohls employees told them that a Caucasian male had entered the store and picked up several items including men’s clothing and a tablet. Store staff witnessed him going into a dressing room with the merchandise. When he emerged from the dressing room, it appeared he wearing the clothing he took under his other clothes. The staff found the empty tablet box and clothing price tags discarded in the cart that the suspect was pushing around. As they tried to confront the suspect on parking lot, he fled north through the Town Center parking lot and ran into a patch of trees and overgrown brush. They were unable to locate him. It is believed that the suspect may have had an accomplice in the store and served as a getaway driver. The total amount of merchandise taken was $439.25.